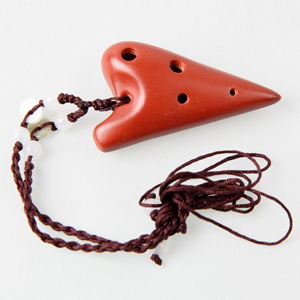 Focalink engages itself not only to developing various professional ocarinas, but also to making the whole ocarina industry healthier than before by releasing ocarina new songs/ books and supporting small workshops. Their ocarina quality is probably not so stable and good as the one from Focalink, yet it could be fair after our quality check. Based upon above ideas, we search for the fair ones in the markets and set up some promotion projects by creating BUNDLE model with Focalink ocarina and theirs. Here is the Project A by combining Focalink Mini G ocarina/ terra cotta with 12 holed one with key Alto C from small workshop ( USD 25.00 + USD 16.00 ).